On June 10, 2016, the official Twitter account for Titanfall 2 posted a new teaser video in preparation for the game’s worldwide reveal on June 12, 2016, during E3 2016. The teaser video, seen below, doesn’t show much but does feature tense scenes of ships falling from the skies, and one of the iconic Titans clenching it’s fists. Of more interest to players is a thread on NeoGAF detailing a supposed leak of two different Titanfall 2 Collector’s Editions – a “Standard Edition”, and an “Uber Edition”. 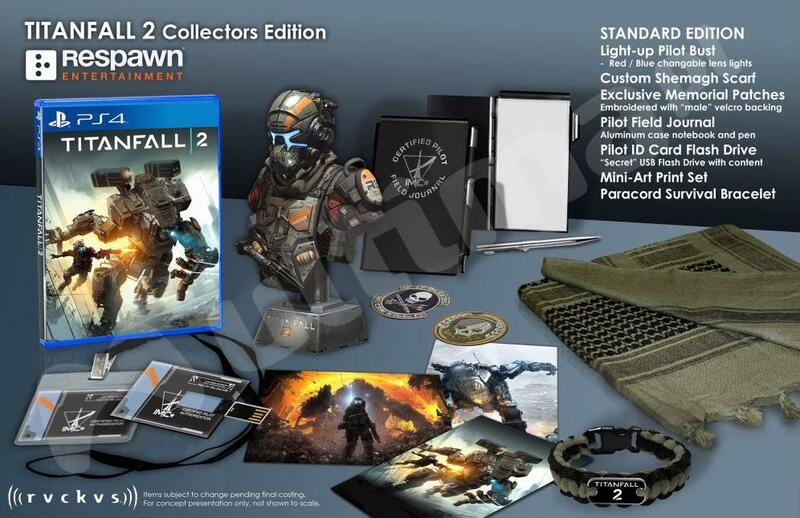 The Standard Edition (pictured below, image credited to NeoGAF) comes with a light-up pilot bust, a shemagh scarf, memorial patches, a pilot’s field journal, a paracord bracelet, a mini-art set, and a pilot ID card flash drive. 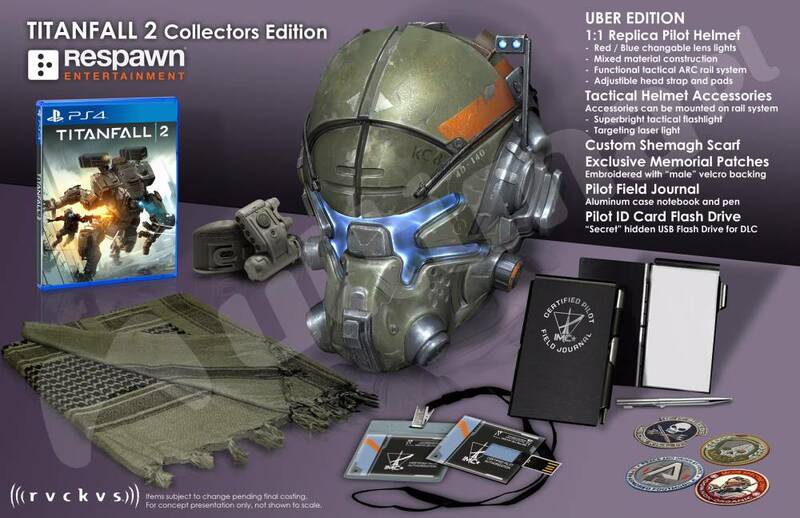 The “Uber Edition” of the Titanfall 2 Collector’s Edition (pictured below, image credited to NeoGAF) contains the same field journal, scarf, pilot ID and memorial patches that the “Standard Edition” does, but the main attraction appears to be the 1:1 scale pilot’s helmet, which comes with a tactical flashlight and targeting laser light. There is no word from Respawn Entertainment, or Titanfall 2‘s publisher Electronic Arts, on the legitimacy of these Collector’s Edition leaks. Unlike its predecessor, Titanfall, Titanfall 2 will be released cross-system on the PlayStation 4, the Xbox One, and on Microsoft Windows PC. There is currently no scheduled release date. Titanfall 2 is set to premiere during EA’s showcase event at E3 2016, EA Play, which starts at 1 PM PDT / 3 PM CST / 4 PM EST June 12, 2016. Stay tuned to TechRaptor for continuing coverage on Titanfall 2 and E3 2016. I usually don’t buy Collector’s Editions of games, because I don’t have the room to properly display all of the items that come with it. However, the Collector’s Editions for Titanfall 2, if legitimate, are very appealing; as I enjoyed the original Titanfall and any mecha-based games as a whole, I will strongly be considering purchasing one of these Collector’s Editions. What are your thoughts on Titanfall 2? Do you think you’d buy one of the Collector’s Editions if they are legitimate, and if so, which one? Let us know in the comment section below!